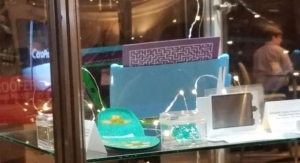 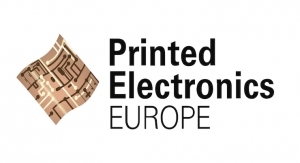 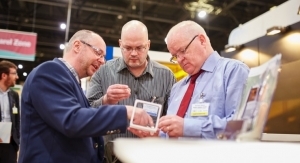 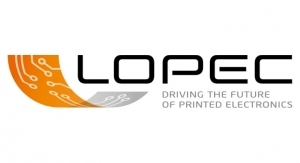 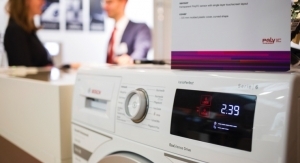 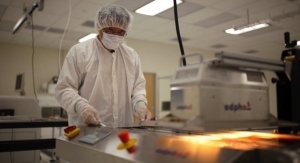 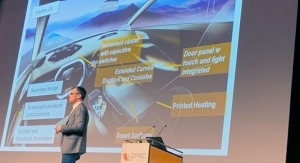 Scenes From LOPEC 2019 - The Independent Global Source for the Flexible and Printed Electronics Industry. 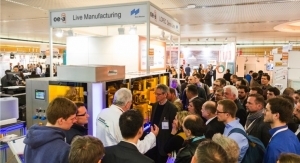 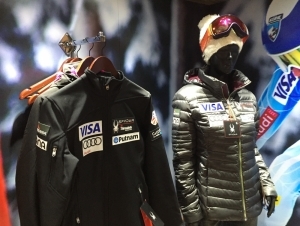 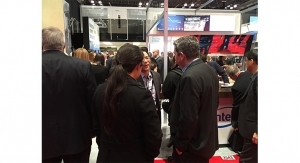 The exhibit hall was active during LOPEC 2019. 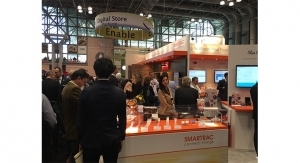 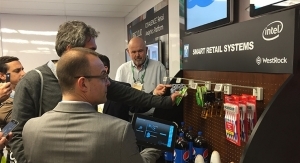 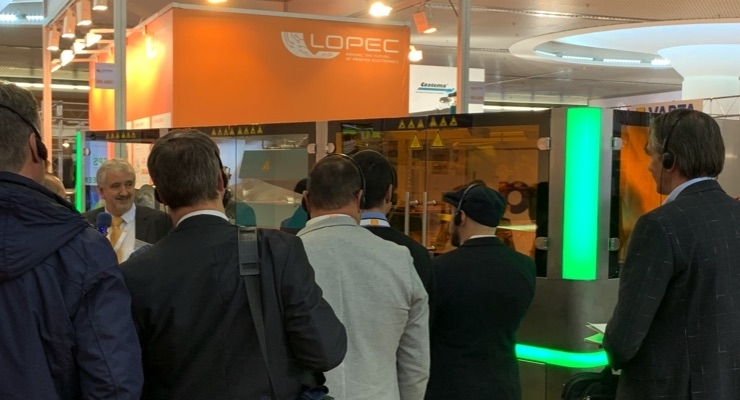 Attendees gather information from the LOPEC 2019 exhibit hall. 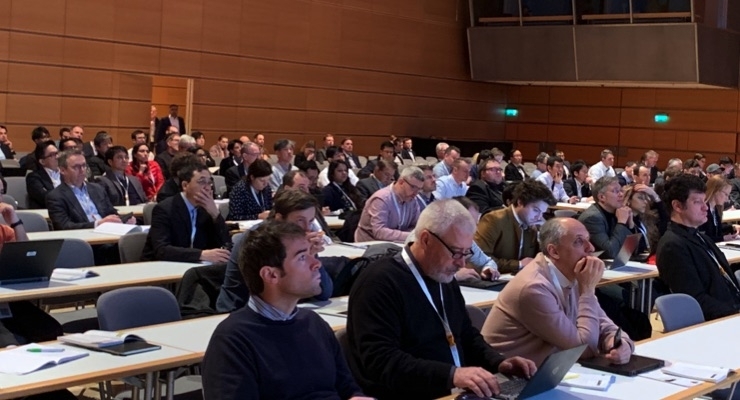 Attendees check out the opening session at LOPEC 2019. 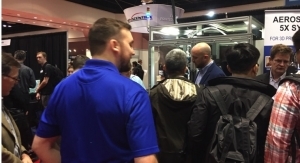 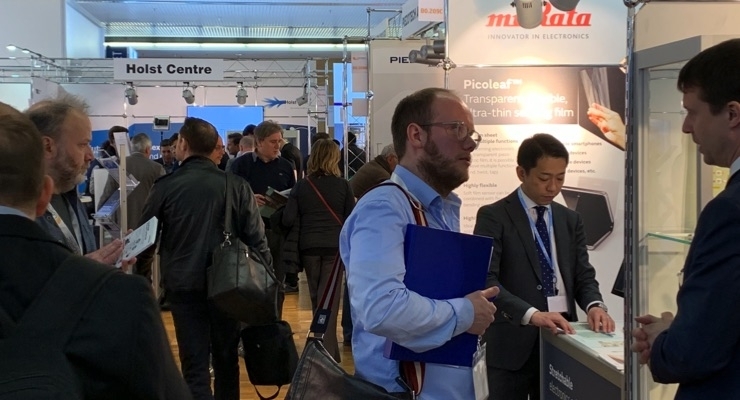 The Demo Line at LOPEC 2019 drew lots of interest. 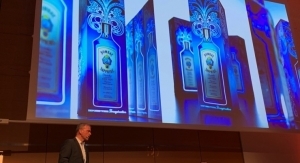 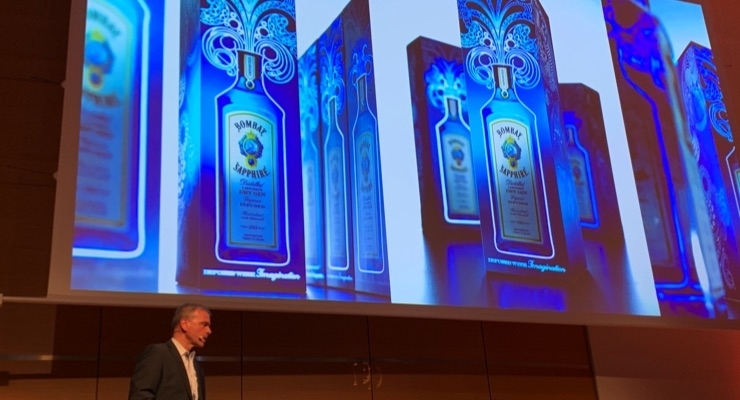 Jurgen Knapps of Karl Knauer highlights use of printed electronics, including OLED lighting, for Bombay Gin. 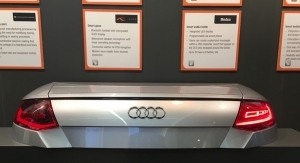 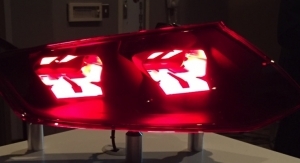 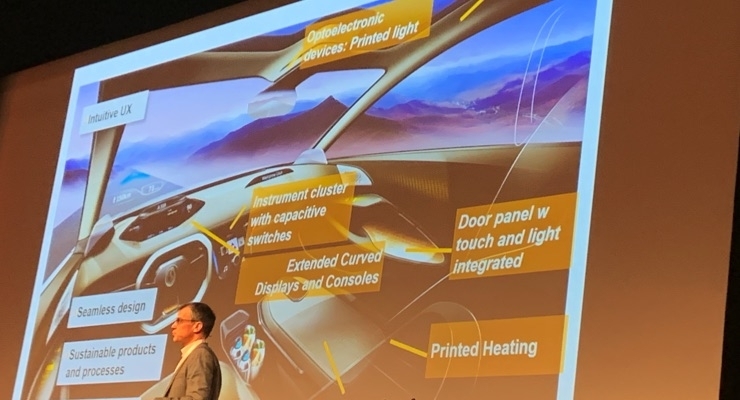 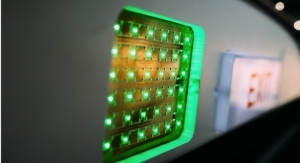 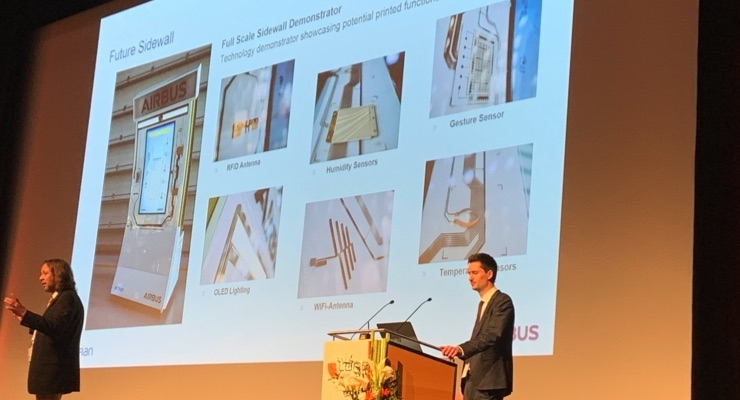 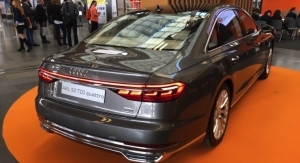 Dr. Erhard Barho of Continental talks about printed elements in cars including heat, lighting and displays during LOPEC 2019. 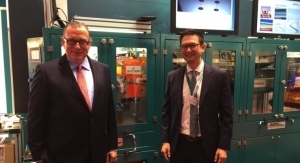 Dennis Hahn of Airbus, left, and Dr. Max Seissler of Altran talk about potential of printed electronics in aircraft durign LOPEC 2019. 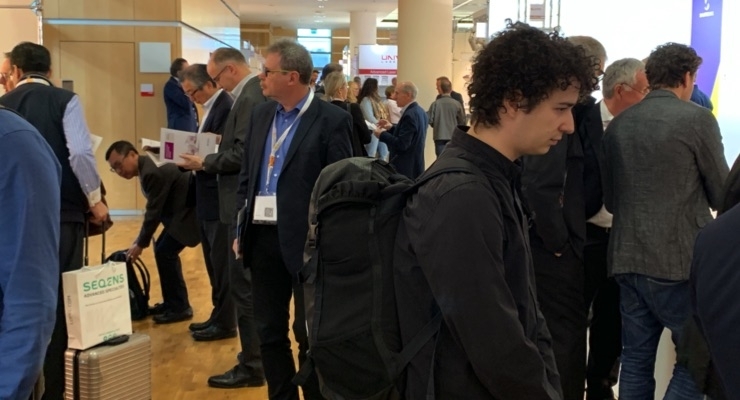 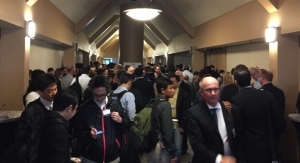 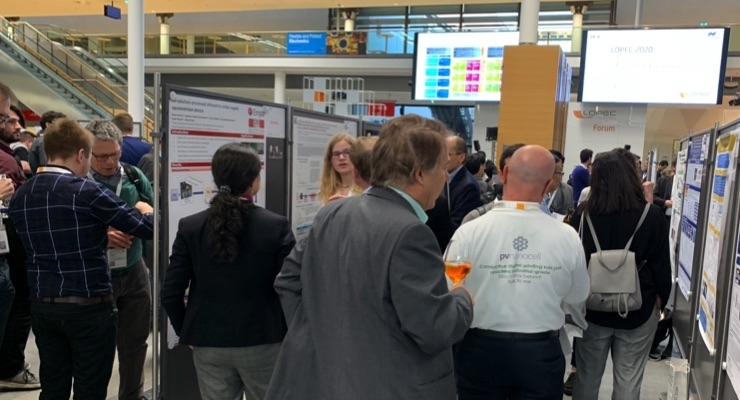 Attendees check out the poster session during LOPEC 2019. 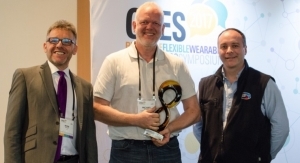 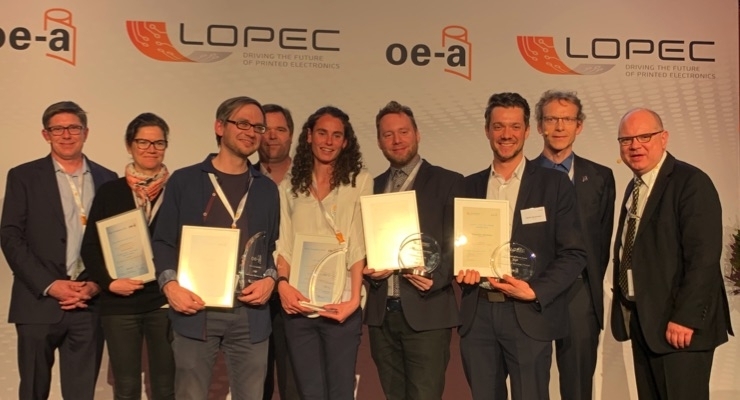 The OE-A presented its awards at LOPEC 2019 to some interesting projects and startups.